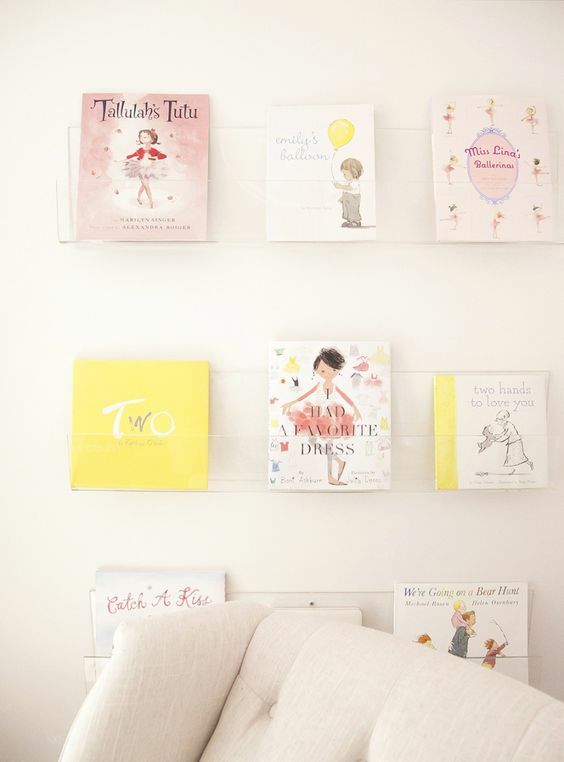 Even though we absolutely LOVE Lexie's nursery, I wanted a place where she could play. Her room is very small and we tend not to keep many toys there. It's also on the other side of the house from the living area, so we just aren't back there much during the day except diaper changes. Right now most of her toys are on one side of our entertainment room (which is "my husband's room" and not blog-worthy haha). It's where we spend a lot of time and is a great place for her to play, but the toys were starting to get a bit out of control and we needed more storage. So I decided to turn what is currently our office/spare room into a playroom for her. These images are what inspired me most, and there are lots more over on my playroom pin board if you'd like to see! 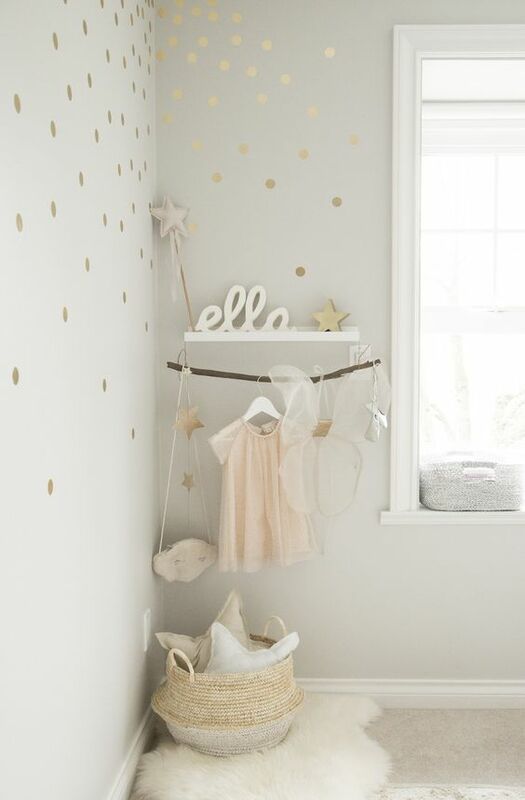 The room is already painted the same soft gray as her nursery (BM Stonington) so all it needs are furnishings - the fun part, yay! I knew I wanted plenty of practical storage but to also make it sweet, charming, girly, whimsical and pretty. My goal is to use lots of white (of course) with blush, peach and a bit of periwinkle/blue-gray mixed in. A simple and clean cube storage shelf from Target will hold most of her toys and offer a bit of display space. I also wanted to incorporate a little hideout/reading nook for her, so I think a simple hanging canopy will create a cozy spot for us to curl up with a few books (her favorite thing!). We also got her this play table for Christmas, and while she's not using it too much right now, I know she'll grow into it soon and get so much use out if it. I've been documenting the process of getting some of the details ready over on my Instagram stories. If you've followed along you saw my Home Goods score of a big white pom pom pillow, which I then found is available on TJ Maxx's website if you've been wanting one too! And I shared over there the $5 wrapping paper I framed as artwork. I've got a few more finishing touches to put together, then I'll share the finished room here on the blog, so stay tuned! Do you think she'll like it? Do/did your kids have a playroom? What's the best part?